Think applying for scholarships is a waste of time? Think again! We'll help you navigate through the scholarship application process. You’ve just spent hours online researching to locate the perfect scholarships for you, and now it’s time to start applying. Wouldn’t it be nice to have the ability to get inside the head of the scholarship reviewer? What will make your application stand out from the crowd? Here are some quick tips. This may seem like a no-brainer, but in your frenzy to find money for college, it’s easy to overlook small details on scholarship applications. No one likes their time wasted. Make sure you read the requirements on the application carefully before devoting more time and attention to it. Not only do you need to print clearly, but also make sure that the application is free of wrinkles or spills. It may be helpful to fill out a “practice” application before the real thing. This is where reading scholarship applications thoroughly is most important. What if you fill out the application, but neglect to include a recommendation letter or essay? You will have spent time on a scholarship application that’s dead in the water. Pay attention, be thorough, and double-check your work. Ok, so you have all of the above covered. You’re a shoo-in for the scholarship now, aren’t you? Well . . . not necessarily. Here are some other points to consider. Your application will be judged against many others that are just as qualified. This is where scholarship application reviewers start to get a bit pickier. Is your spelling correct? Are your sentences complete? Do you adequately answer the questions posed? Do you effectively demonstrate to the scholarship application reviewer why you are the ideal candidate for the scholarship? If you can answer “yes” to these questions, you’ve improved your chances even more, but it’s not over yet! Now that the scholarship reviewers have the applications narrowed down to a few select individuals (and hopefully you’re one of them! ), it’s time for them to dig deeper. They will look at factors such as academics, community service, extracurricular activities, and creative abilities. This is where the importance of molding yourself into a well-rounded person really comes to the forefront. In a sense, you might say that the scholarship application process begins long before you even begin your search. 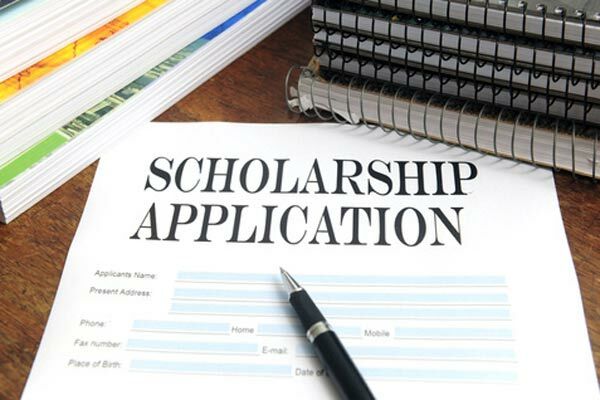 Just like with all the best things in life, applying for scholarships is not always a walk in the park, but hard work almost always pays big dividends in the end.